Middle East carriers displayed an eight-year low drop in demand over the course of May, partially because of the ban on carry-on electronic items on direct flights to the United States from 10 airports in the region, according to the latest global passenger traffic figures from the International Air Transport Association (IATA). According to the statistics, Middle East carriers showed a 3.7 per cent rise in demand in May, with a 5.7 per cent increase in capacity. Load factor dropped 1.3 per cent to 69.8 per cent. “Although year-to-year comparisons are distorted by the strong performance for the same period a year ago, the slowdown also reflects the ban on the carriage of large portable electronics devices in the cabin from 10 airports in the region to the US, as well as a wider impact on inbound travel to the US from the Trump Administration’s proposed travel bans,” the report notes. The move to remove the laptop ban was applauded last week by Emirates and Etihad, with both airlines noting they have met the enhanced security procedures called for by the US Department of Homeland Security. “Effective immediately, the removal of the restrictions allows passengers flying to the US to carry all laptops, tablets, and other electronic devices onto the aircraft, subject to enhanced security measures,” an Etihad spokesperson said. Etihad operates 45 flights each week between Abu Dhabi and six American cities. The US is one of Etihad Airways’ largest markets, with 203,515 passengers flying to the US between January 1 and April 30, up 13,157 passengers during the same timeframe in 2016. Emirates, for its part, flies 101 flight departures each week to 12 US cities, despite having cut 25 flights per week in April. While passenger traffic growth on the Middle East to North America market was already slowing in early 2017, revenue passenger kilometers fell again by 1.2 percent in April, for just the second time since 2010. Alternatively, the route to and from Europe has continued to trend upwards throughout the course of 2017. Richard Stolz, head of corporate development at GRMC Advisory Services, said air travel restrictions from selected Middle East airports as the ban on carriage of large portable electronic devices for instance, which has now been lifted for some of the Gulf carriers, slowly show signs of impacting air travel demand on Middle East-USA routes. 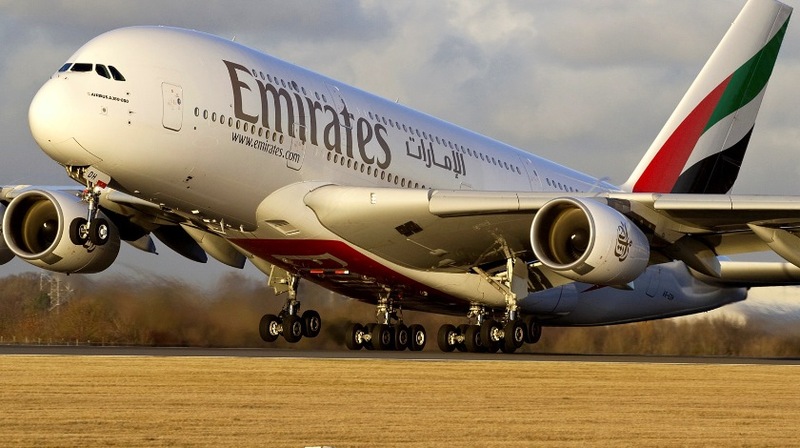 “The fact that this electronic devices ban has been lifted for some of the major carriers such as Emirates or Etihad Airways is a welcoming sign to get Middle East-USA air travel performance back on track,” Stolz told Khaleej Times. Saj Ahmad, an analyst with the London-based StrategicAero Research, said that the Middle East airlines are likely to experience a “sharp rebound” in passenger numbers in the next quarter. “This isn’t a trend, especially now that the ban on laptops has been lifted. I fully envisage the likes of Emirates reinstating additional frequencies to places like Seattle and Boston before the year is out,” Ahmad told Khaleej Times. He added that the US has been a great high yield money spinner for Emirates and other GCC airlines — led in large part by the wholesome failure by any US airline to fly to the GCC, so that leaves the market wide open for Arab carriers to enjoy and provide passengers with amazing quality, cabin amenities and value for money experiences that US airlines simple can never ever match. “At the same time, the rise in demand for Europe signals that there is more room for growth — it is likely with new services such as Qatar Airways flying to Cardiff soon and Emirates adding a second twin-class A380 to cities like Birmingham means that there is greater opportunity to look beyond things like Brexit and provide passengers with new services and city pair connections that would otherwise not be available,” he said. Globally, demand rose 7.7 per cent compared to May 2016 — slower than the 10.9 per cent growth recorded in April. The growth, however, was still ahead of the five and 10 year average growth rates. Capacity climbed 6.1 per cent and load factor rose 1.2 per cent to 80.91 — a record high for the month. All regions — with the exception of the Middle East and North America — posted record-high May load factors. According to IATA estimates, approximately two-fifths of the annual growth in passenger traffic seen in May were the result of diminished airfares, which at the start of the second quarter were about six percent lower than a year ago. The strongest growth in traffic was in Africa, with a 11.7 percent increase in may compared to one year ago — more than double the 5.1 percent increase in capacity. The Asia-Pacific region, for its part, recorded a 10.5 percent rise in traffic in May, as well as a 7.2 percent capacity increase. North American airlines recorded a 4.8 percent traffic increase in May, down from the 10.3 percent annual growth recorded in April. According to IATA, however, the result is still “strong” for the region compared to the five-year average growth rate. “Passenger demand is solid. And we don’t foresee any weakening over the busy summer months in the Northern Hemisphere. But the rising price of fuel and other input costs is likely to see airlines’ ability to stimulate markets with lower fares taper over the coming months. In parallel, rising trade protectionism and barriers to travel are worrying trends that, if unchecked, could impact demand. As a business airlines depend on borders that are open to trade and people,” said Alexandre de Juniac, IATA’s Director General and CEO.